Your Family Farmer is a unique, close-knit group of grass-based sustainable family farms. We each feel a calling to "dress and keep" God's good earth to bring forth healing foods. We specialize in high-integrity, nutrient-dense, raw, traditional, organic foods from earth, grass and livestock - livestock that are treated with full respect to their design and the plan of their Creator. Partnering is the beauty of Your Family Farmer's plan. We Deliver to Drop Points! Our community of farmers has also been blessed with the skills and organization necessary to set up and maintain a unique local food chain that efficiently delivers these special foods to equally special families. Check out our drop point delivery system (54 PA locations) and you will understand the intense organization that it takes to make these foods available to our tribe. If you live in the eastern 30 states of USA we can efficiently ship our pasture raised foods in a refrigerated insulated box straight to your door. How is that for convenience! 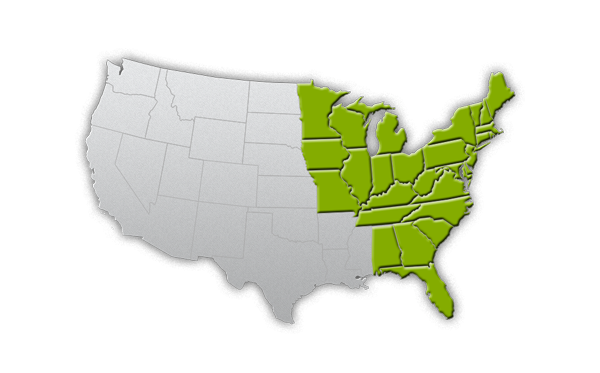 Check out this map to see if your state is in our delivery area. If it's not pure, if it's not humanely and conscientiously raised, we won't sell it. 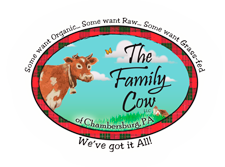 Many tell us that our organic raw grass-fed Jersey milk is the best raw milk they have ever tasted. We'll leave that up to you to decide. We do hope to always exceed your expectations. Actually, you will find all of our food clean, pure and outstanding. If it's not pure, if it's not humanely and conscientiously raised, we won't sell it. That is our commitment to you. We know we depend on you... You DO make a difference. Even though we pour our complete energy into our organic whole foods dream, we never forget that our efforts would be utterly pointless if you didn't value it. So, thank you. You are without a doubt the most important player in this game. Never underestimate the tremendous power of food choices. You do make a difference! There is strength in grocery shopping! Working together... and only working together, we can heal our soil health, our personal health, our quality of life, the quality of our animals' lives, plus the social fabric of our communities... one bite at a time. How do I get these foods?